Let the “mirror play” in your home. The Lincoln Dresser with a mirror dons a minimal and classic look that can blend in with all kinds of décor styles – contemporary and modern. A beautiful combination of functionality and design, its rubberwood is given a walnut finish that enhances its look. Place it in the bedroom or in the bathroom if it’s big enough. 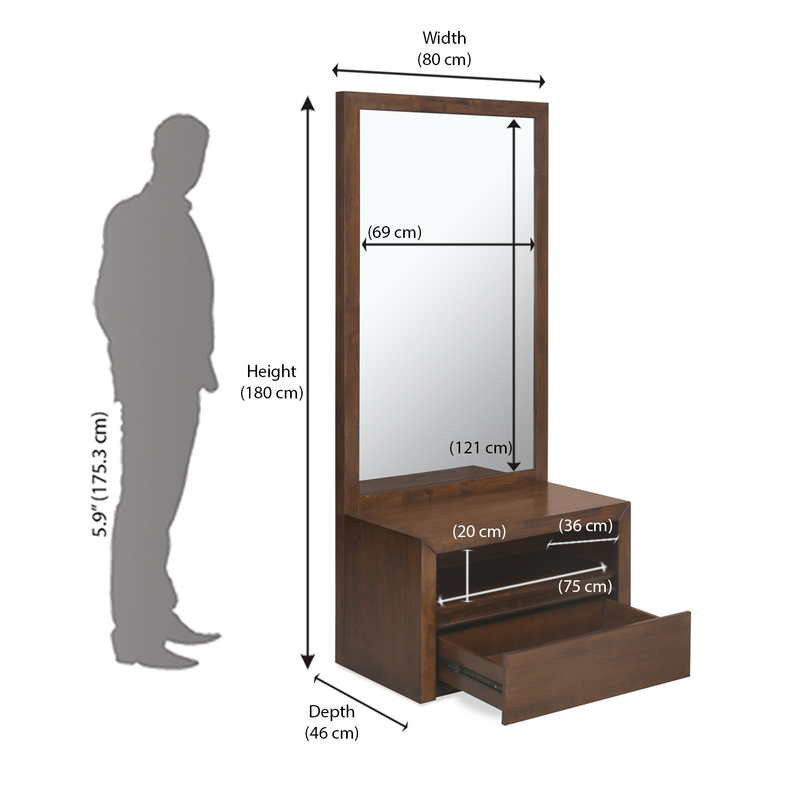 Its broad and tall mirror makes dressing up easier than you thought.